July 30th is National Cheesecake Day. It would be rude not to have a slice (or two) whether it’s taking it to work or throwing a party to go with the day, we believe it’s a must. For starters, it’s cheesecake, surely that’s sufficient reason! Why wouldn’t you have a day dedicated to a cake that’s been around for over a thousand years? Some say it was even passed around the athletes at the first Olympic games. Others say the Stig eats it for every meal of the day. 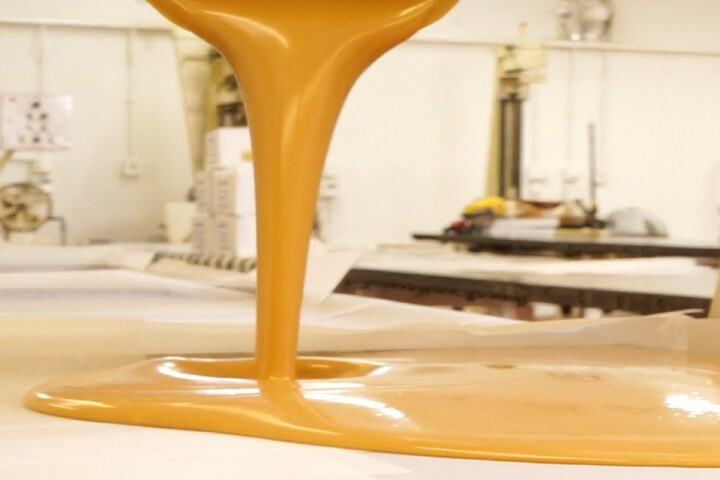 Not only is it one of the oldest cakes in the world, it’s one of the cakes that has the largest range of tastes, there are over 30 flavours that have been made from mango lime to salted caramel. We offer a big thank you to Greeks for coming up with this marvellous recipe. That’s right, it wasn’t New York where cheesecake began as many think from the traditional New York Cheesecake, but in ancient Greece. The perfect cheesecake is made up of a thick layer of soft cream cheese with a crust of crackers, cookies or biscuits. 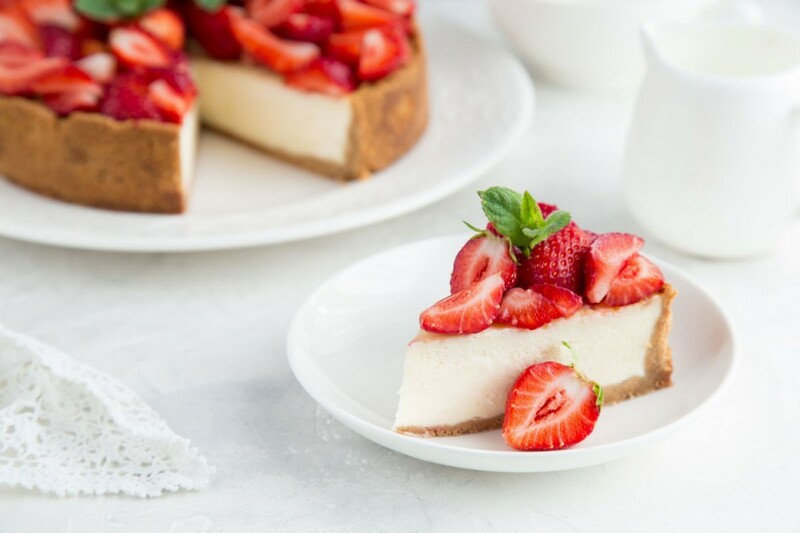 Not only is the basic cheesecake appetising, you can even top them off with fruit, desert sauce, chocolate or whipped cream to make it even more pleasurable. 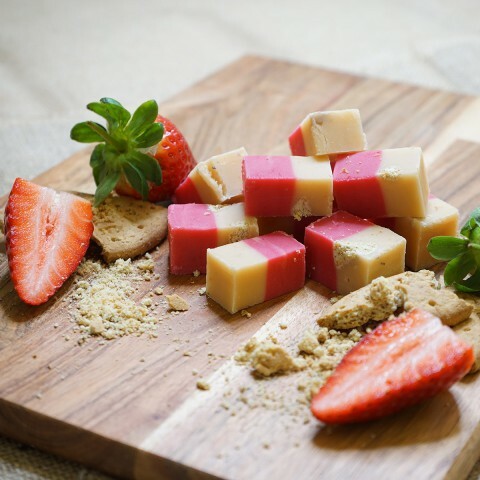 At Johnson’s it just so happens we have a mouth-watering Strawberry Cheesecake Fudge for the occasion. 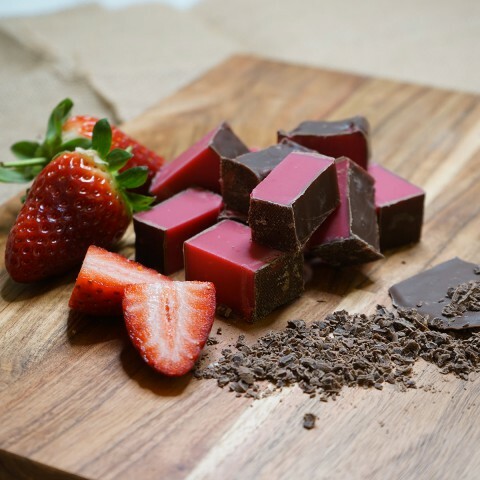 A two tone fudge a sweet succulent strawberry flavour on top and a smooth fudge on the bottom with soft crumbly pieces of biscuit mixed in giving the fudge the unmistakable taste of strawberry cheesecake. Its available in two sizes; a 150 gram bag or a 450 gram box. 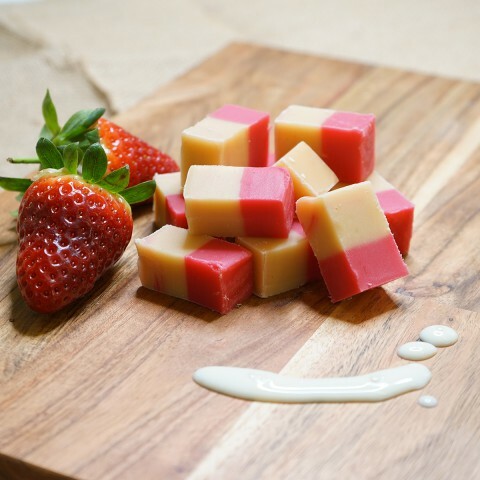 If you want the strawberries without the cheesecake then there is always Strawberry Fudge or the age old summer classic Strawberries & Cream Fudge. The 16th of June is National Fudge Day 2018. Well, Johnson's may be using a bit of creative licence here as this is US thing, but thats not to say we ..